Glass paperweight in rectangle design, hand crafted in 19mm thick jade crystal and offered with engraving and/or colour print branding options. 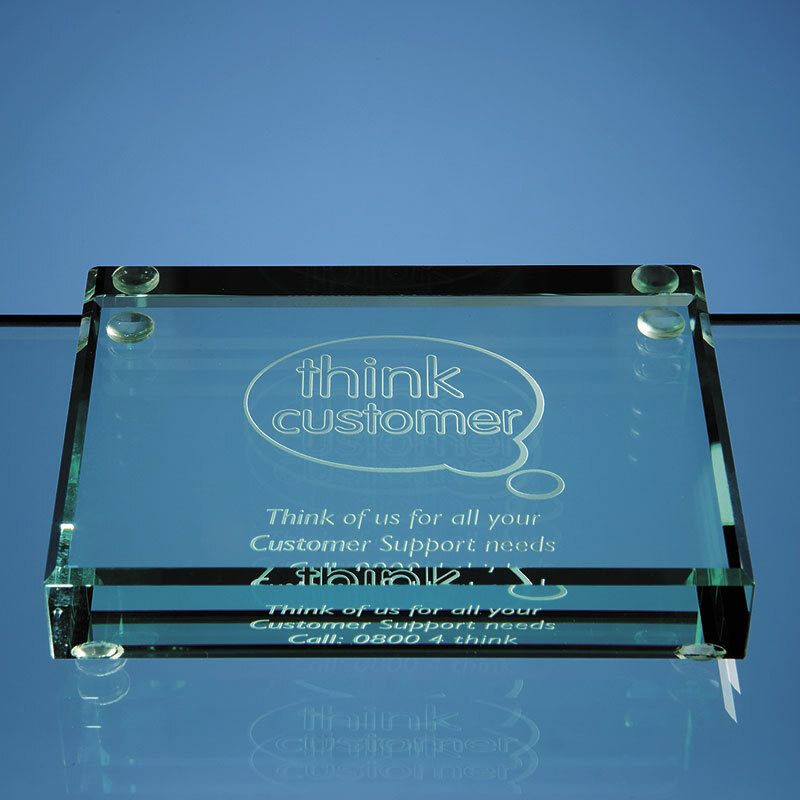 Supplied in foam-lined presentation box. 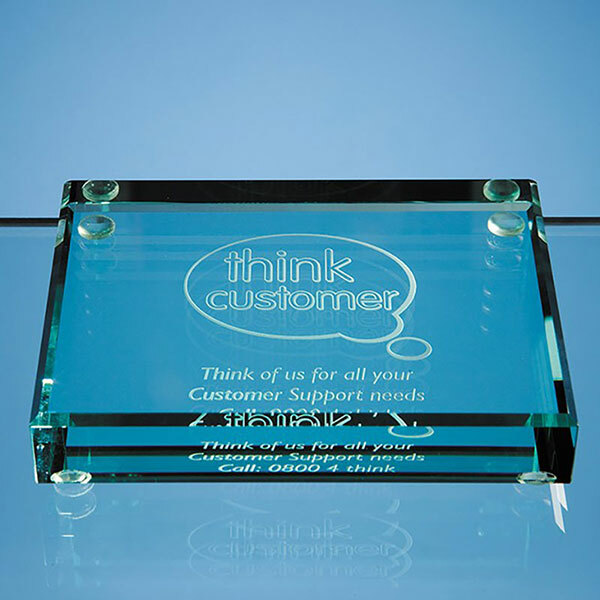 A robust glass paperweight in rectangle shape, hand crafted in 19mm thick jade glass and ideal for branding to create corporate gifts or merchandise. 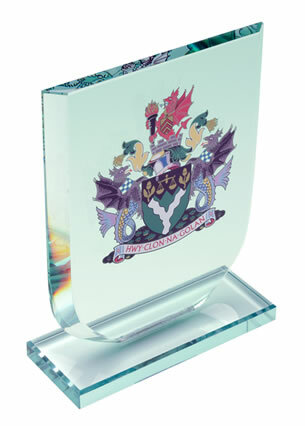 These chunky glass paperweights are ideal for engraving or colour printing on the flat top, and in addition to corporate or promotional items they can also be used for commemorative gifts and awards to mark significant achievements or events. 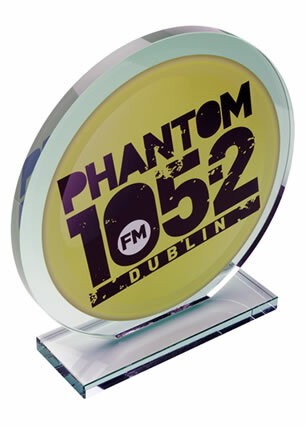 We offer low-cost engraving so you can customise these rectangular paperweights for your special event. 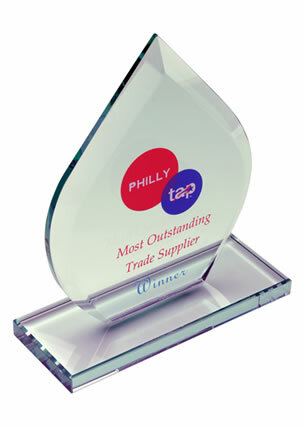 These paperweights are supplied in a foam lined gift box.